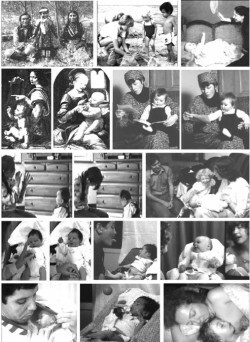 Colwyn Trevarthen has kindly given us permission to reproduce this article on Infant Intersubjectivity. We would like to thank Colwyn for his generosity in sharing his work. The title is: “Stepping Away from the Mirror: Adventures of Companionship”. Reflections on the Nature and Emotional needs of Infant Intersubjectivity. It comes from C.S. Carter, L. Ahnert, K. E. Grossman, S. B. Hrdy, M. E. Lamb, S. W. Porges, and N. Sachser, eds. (2005) Attachment and Bonding: A New Synthesis. Dahlem Workshop Report 92. Cambridge, MA: The MIT Press. pp. 55-84.